Unofficial versions of big movie teasers are nothing new – they’re a phenomenon that hits YouTube with any big blockbuster. But for Captain Marvel, the view counts are sky-high. One attempt, uploaded on September 5, has a huge 4.2 million plays at time of writing; while another – shared on September 9 – has already accrued 2.9 million. One trailer shared on the Smasher YouTube channel back in early August has amassed an enormous 10.9 million views. Of course, none of them are genuine – they’re all mock-ups using clips from other movies. No official footage has been released from Captain Marvel just yet – and in fact, the first slew of official images only appeared via Entertainment Weekly last week. But fans’ hunger for a glimpse of the movie is clear from these false trailers’ play counts – and evidently, whenever the teaser trailer does appear, it will be an instant sensation. Teasers for MCU epics are always incredibly popular: Avengers Infinity War’s first look, released in late November 2017, currently has 209 million views on the video-sharing platform. Black Panther’s first teaser has 40.9 million, and even the first trailer for Ant-Man and the Wasp – arguably the most ‘low-key’ film in recent MCU history – has 15.9 million. 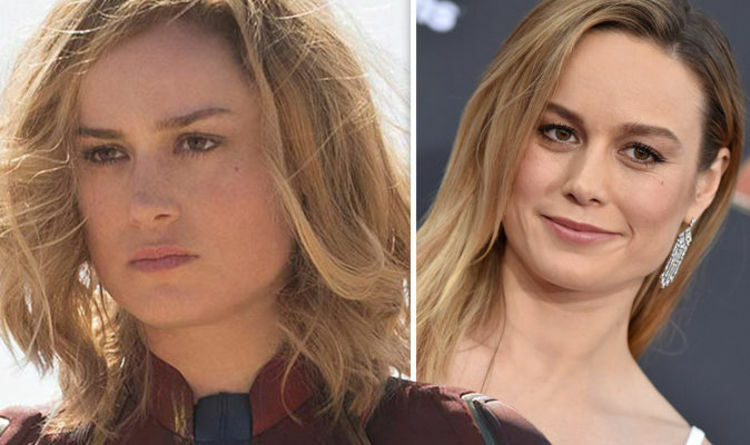 A release date for the Captain Marvel teaser has not been officially announced, despite internet rumours, but the cast have been speaking out following the end of principle photography just a few months ago. “You have this Kree part of her that’s unemotional, that is an amazing fighter and competitive,” Larson said of Carol Danvers, in conversation with Entertainment Weekly. “Then there’s this human part of her that is flawed but is also the thing that she ends up leading by. It’s the thing that gets her in trouble, but it’s also the thing that makes her great. The film is said to be an expert blend of light humour and heavy, heartfelt drama – something Larson voiced her excitement about. “That is something that is really exciting to me about this film: We did not cut corners on that stuff,” she admitted.